Vaccination is an integral component of preventive healthcare. This week I share updated information about the vaccines recommended for our canine companions by the American Animal Hospital Association (AAHA), as I believe all dog parents should know this information. I sincerely hope this blog post doesn’t deteriorate into a debate on the efficacy and safety of vaccines. The scientific evidence behind the efficacy of vaccines is plentiful and sound. Vaccines are one of the safest and most-cost effective ways to prevent many common infectious diseases. Those keen to know how to best protect their dogs with vaccines will surely appreciate the information. Happy reading! 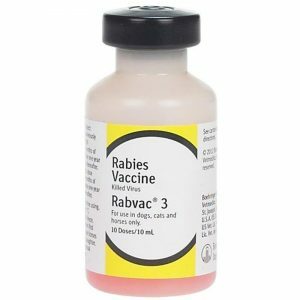 Pet parents need to know the difference between core vaccines and non-core ones. 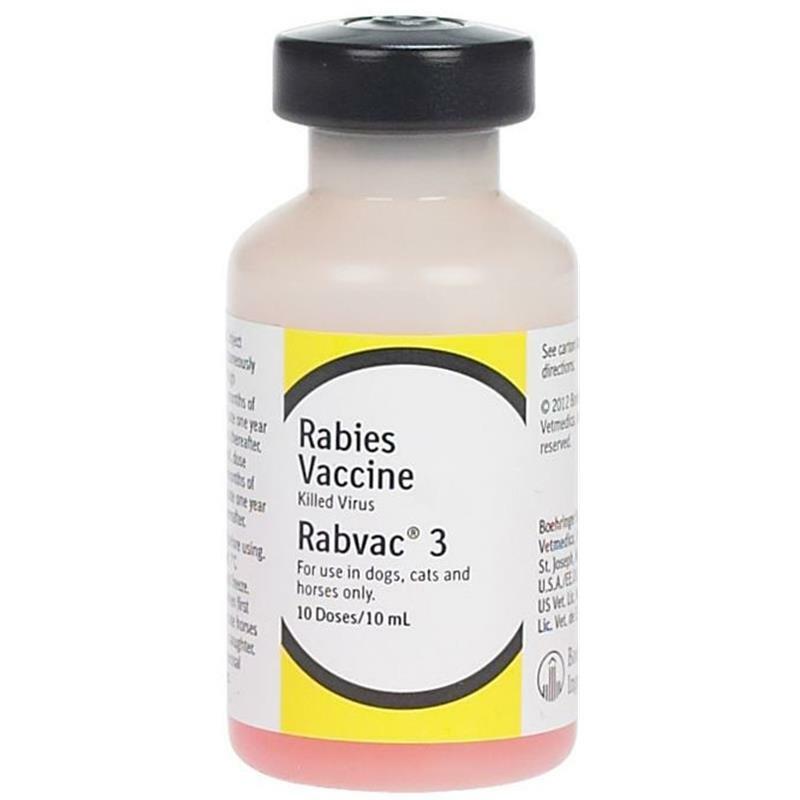 The former are vaccines recommended for all pets. They protect against diseases that infect dogs of all life stages and lifestyles. The diseases have high rates of infection, pose a threat to a pet’s life, and may even be a danger to human health. Vaccination results in relatively robust protection from disease. Non-core vaccines are optional ones. They should be considered given the exposure risk of a pet. These vaccines are generally less effective compared to core ones in terms of protecting against disease. 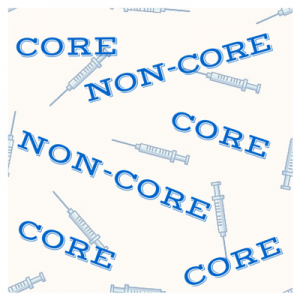 Vaccines – Which ones are core? This vaccine is often abbreviated with the acronym DAPP. Initial vaccination may begin as early as 6 weeks of age, and sequential doses should be administered every 2-4 weeks until at least 16 weeks of age. Dogs in high-risk areas may benefit from a final dose given at 18-20 weeks of age. 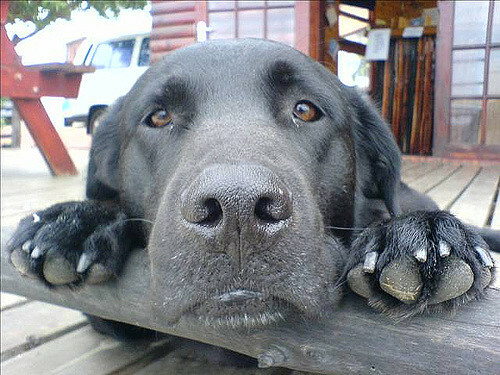 If vaccination begins at 16 weeks of age, then dogs should receive a second dose 2-4 weeks later. Revaccination (booster) should occur within one year of the last dose of the initial vaccination series, and subsequent doses are given at intervals of three years or longer. Vaccines – Which ones are non-core? A single dose is generally administered between 8-16 weeks of age via the intranasal route. With continued risk of exposure, single doses one year following the last dose may be given annually. Onset of protective immunity has been documented as early as 48-72 hours post single inoculation. There are three forms of this vaccination – parenteral (given by injection under the skin), intranasal, and oral. It is essential the selected type be given via the appropriate route. Initially, the parenteral vaccination is given as two initial doses given 2-4 weeks apart starting at 8 weeks of age. The intranasal and oral forms are given as a single initial dose as early as 3-4 weeks and 8 weeks of age, respectively. With continued risk of exposure, single doses one year following the last dose may be given annually. This killed vaccine is given as a subcutaneous injection 2-4 weeks apart as early as 8 weeks of age. With continued risk of exposure, single doses one year following the last dose may be given annually. This vaccine is manufactured as both a killed vaccine and as a recombinant one. Both are given as subcutaneous injections 2-4 weeks apart as early as 8 weeks of age. With continued risk of exposure, single doses one year following the last dose may be given annually. This killed vaccine is given as a subcutaneous injection 2-4 weeks apart as early as 6 weeks of age. With continued risk of exposure, single doses one year following the last dose may be given annually. Dosing requirements and frequency of administration vary, and dog parents should consult with their primary care veterinarians. The take-away message about vaccines in dogs…. Vaccines for our canine companions are vital to preventing many common and potentially deadly diseases. Those who appreciate science-based and evidence-based medicine will appreciate both the efficacy and safety of modern vaccines. Yet, it’s worth noting they are not risk-free. Rare adverse events, most notably allergic reactions, are possible and have been document. Dog parents are strongly encouraged to speak with their primary care veterinarians to develop the most effective and safe vaccination protocol for their fur babies. Those interested in reading the complete AAHA Canine Vaccination Guidelines may find them here.